"This is the first book-length study devoted to the reign of Nebuchadnezzar I, a Babylonian king of the late 12th century BC who is best known to students of ancient Mesopotamia for his recovery of the statue of the national god Marduk from its captivity in Elam. 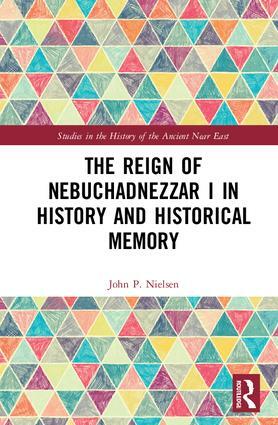 Nielsen achieves two feats of scholarship: he presents a lucid account of Nebuchadnezzar I and his times, and then traces his legacy right down to the Seleukid era, based on careful analysis of a wide range of cuneiform sources including literary texts. His investigation of historical and collective memory within the Mesopotamian cultural tradition represents a major contribution to ancient Near Eastern historiography." John P. Nielsen is Assistant Professor of History at Bradley University, Peoria, IL, USA.